Newborn blue baby boy padded teddy bear embellishment wearing a pair of dungarees that have stitching detailing on them. 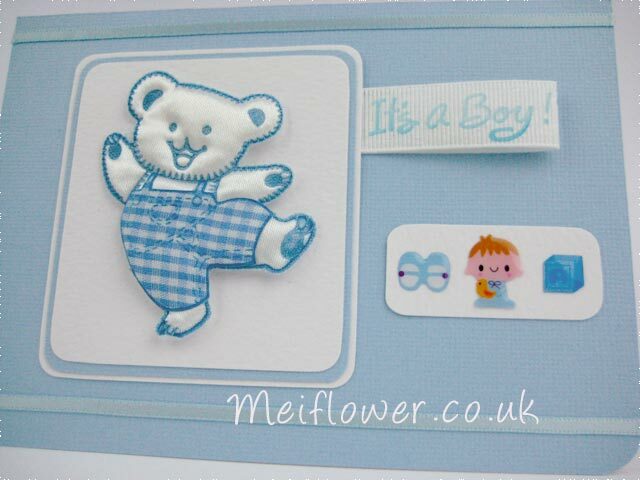 Appliques ideal for handmade baby boy cards, scrapbooking, sewing, embroidery & craft projects. 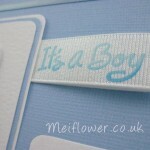 This entry was posted on Wednesday, January 26th, 2011 at 6:55 pm	and is filed under . You can follow any responses to this entry through the RSS 2.0 feed. You can leave a response, or trackback from your own site.